Renée Cardwell Hughes is the CEO of the American Red Cross of Eastern PA, which services 6.2 million Pennsylvanians between the New York State and State of Delaware borders. For the global not-for-profit humanitarian and disaster relief agency’s fourth largest Red Cross market, Renée is responsible for strategic vision, annual operating plan and budget, donor funding program, team leadership, and partnerships with local, state and federal government and business alliances. Renée leads a team of 85 full-time and 45 part-time staff along with more than 4,000 volunteers who plan and execute local, regional and national disaster relief, safety education programs, and support of members of the Armed Forces. She is also responsible for the provision of the organization’s blood supply for the region. Her team responds to from seven to 10 fires daily in partnership with regional fire departments and, under her leadership, provided food and shelter for citizens affected by Hurricanes Irene and Sandy, and the 2015 Philadelphia Amtrak train derailment in addition to supporting Pope Francis’ visit to America. During her tenure, Renée successfully spearheaded the merger of 17 counties as well as the integration of the Blood and Humanitarian Services divisions to deliver enhanced service offerings and more efficient funds deployment. Her team founded and operates the only Red Cross House in the nation, a unique facility that provides care and recovery for families who have been displaced by fire, floods or other disasters. Prior to joining the Red Cross, Renée was a trial judge for more than 15 years where she handled both complex civil and criminal cases but specialized in homicides—presiding over some of Philadelphia's most notable cases. She founded the City's mental health court and co-authored a book on witness intimidation. Judge Renée Hughes received her legal degree from Georgetown University Law Center and her undergraduate degree from the University of Virginia and has received numerous awards for her leadership, courage, and community involvement. She was inducted into the International Women in Homeland Security and Emergency Management 2013 Hall of Fame. She was recognized in 2013 by the Philadelphia Business Journal as a Minority Business Leader; in 2014 Philadelphia Style magazine named her one of the city’s Most Powerful Women. In 2016 she was recognized by the Philadelphia Business Journal as a Woman of Distinction. Judge Hughes recently gave a Ted Talk on leadership and success, a topic on which she speaks frequently. 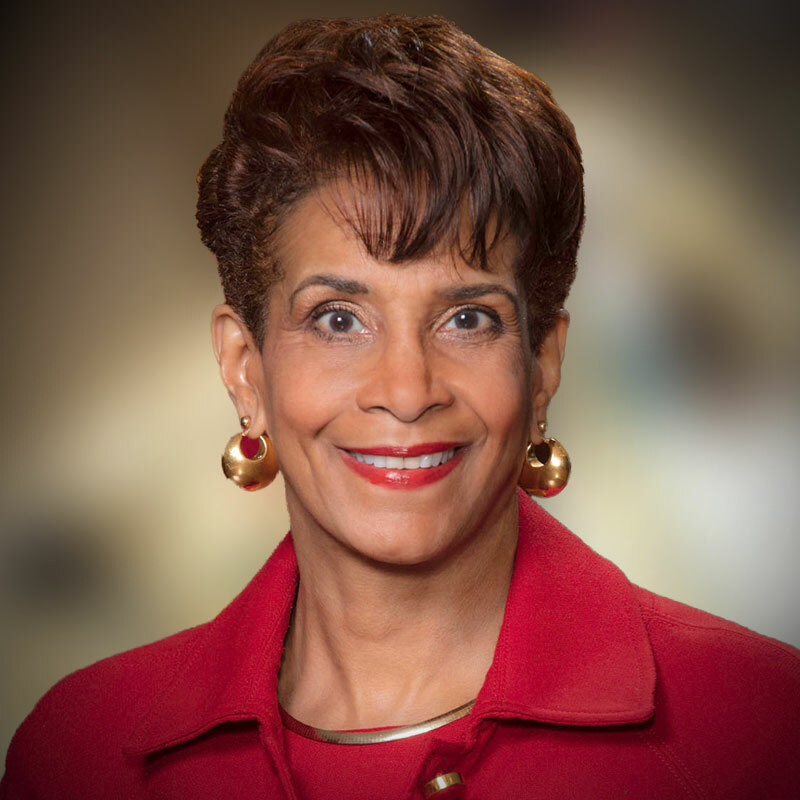 ​Renée serves on the boards of The Independence Health Group, the parent company of Independence Blue Cross, The Haverford Trust Company, Public Health Management Corporation (PHMC) and the Greater Philadelphia Chamber of Commerce.